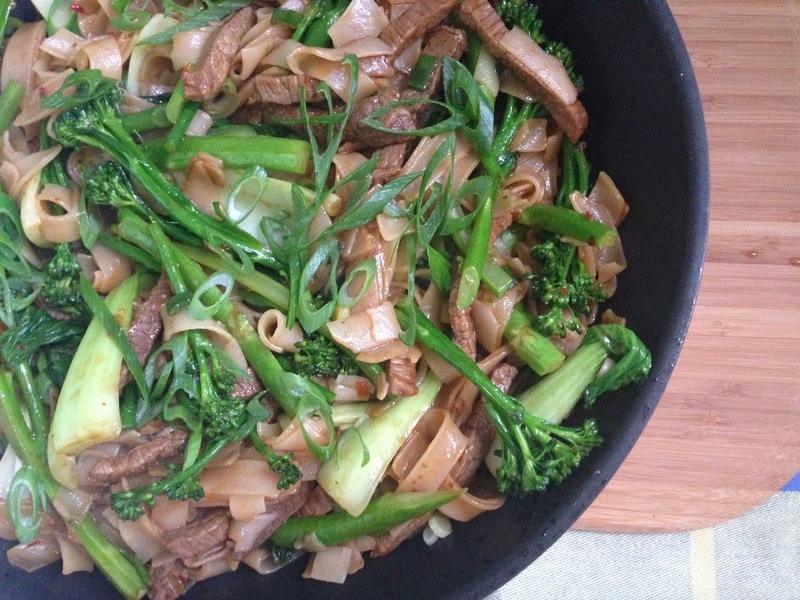 charred beef and rice noodle stir-fry from delicious. magazine. I think the thing with takeaway is that it just never tastes the same when you try and make it at home and you don't get the variety of a couple of dishes in the same sitting. Yes even home alone on a Friday night I order at least 2 mains (plus entrees)... variety is the spice of life! In the new delicious. 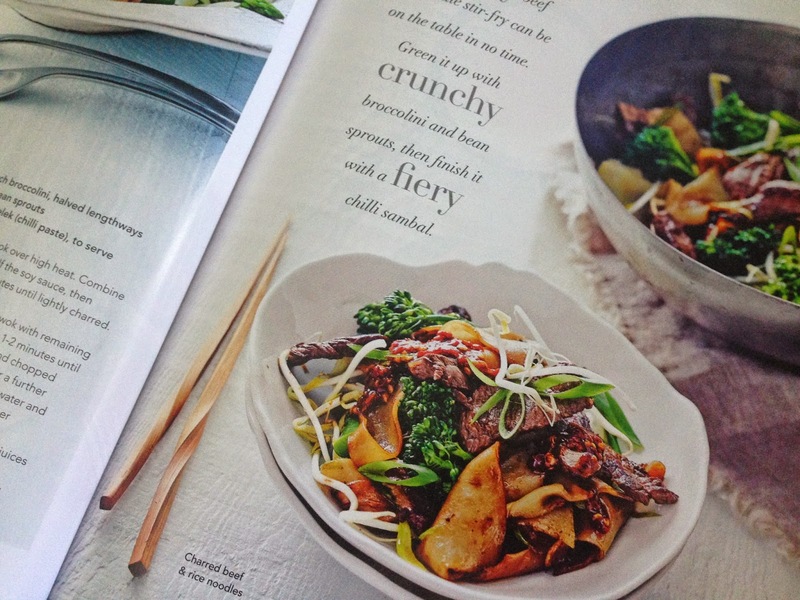 magazine this month they have a great charred beef and rice noodles stir-fry recipe that tastes pretty close to a dish at the local thai around the corner from us. I just need to find the right noodles and I think it would have been spot on. My supermarket didn't have big fat flat rice noodles... I chose the fattest ones they had but not the same thing but then I'm being picky and in reality a noodle 1cm thinner is probably not going to make that much of a difference. I was pretty impressed with this dish as there wasn't many ingredients and normally when I make a stir-fry I start getting every asian condiment and sauce in my fridge and pantry out and add a little of everything and then it all ends up tasting the same. This time I went by the recipe (kinda) and trusted it. I couldn't find bean sprouts so I used some baby pak choi instead and my measurements were adjusted slightly with the soy sauce as I adjusted the recipe for 2 people instead of 4 ...but it still tasted pretty amazing! The only wok I own is a mini wok that still overflows when making fried rice for one so instead of charring the beef then charring the noodles in a wok on high I used my regular frying pan. This meant that they weren't really charred so even if you don't own a wok don't let that discourage you. It still tastes great even without the charring! It's easy, simple flavours and I was very impressed. Before you serve it give it a little taste. I added a tiny splash extra fish sauce and dark soy to mine and big dollop of sambal oelek (chilli paste) but the brand of sauce you have used might be saltier than mine so always taste first. I have over salted on more than one occasion being heavy handed with the soy or oyster sauce and made it so salty that it was completely inedible. Now I'm a better safe than sorry girl :) I hate being disappointed with a dinner and wasting stomach space. I think this is a great mid week dinner, I don't think it took more than 20 min to prep everything and cook it. - Place a frying pan (or wok) on high heat and fry the beef and half of the dark soy sauce until the beef is brown all over and cooked through (or charred if using a wok) about 3-4 minutes. Transfer to a bowl and set aside. - Place the same frying pan back on high heat and add your noodles and remaining soy sauce and cook for about 1 minute until noodles are charred (mine didn't char in the frying pan so if your using a wok this step might work). 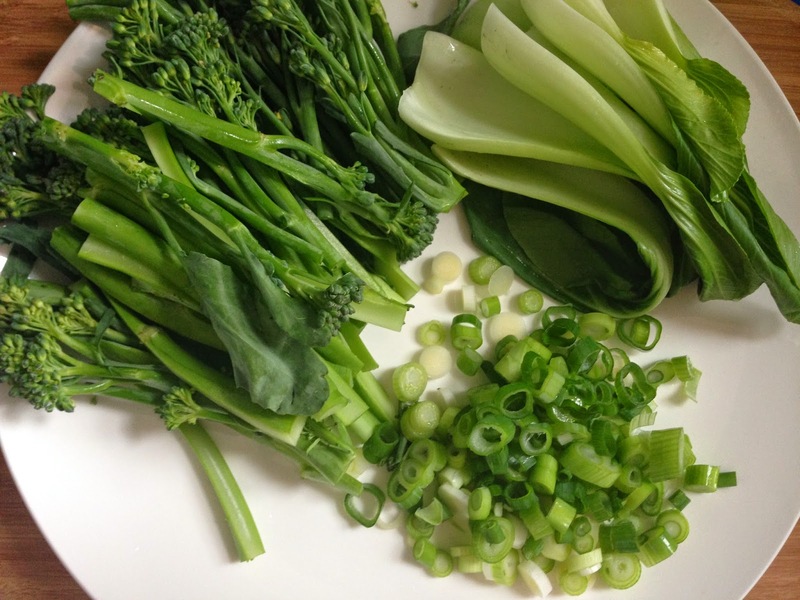 - Next add both oils, chopped spring onions, fish sauce and vegetables and stir fry for a further 3 minutes until vegetables are tender. - Return the beef to the pan with any resting juices and toss until heated through. - Taste to see if you need a little extra dash of anything and serve with the dark green parts of the spring onions and some sambal oelek for a little bit of spice (optional). 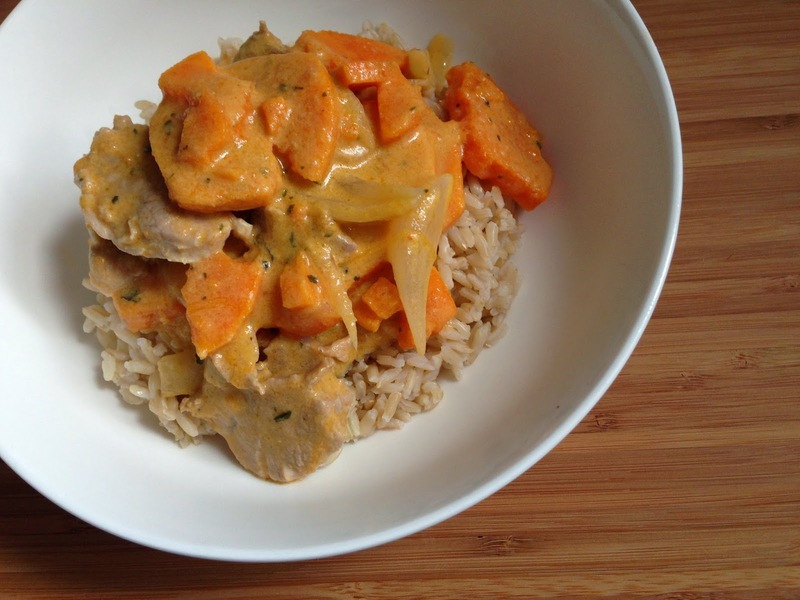 Pork and Sweet potato red curry with lazy brown rice. On this rainy, cool Tuesday morning it felt like a Monday... humpf (we had a long weekend here in Australia so to a lot of us it kinda was a Monday). Waking up to find that Arthur has just discovered the toilet paper and decided it's a fun game to spin it until all the toilet paper end ups in a pile on the floor all ripped with holes in it somehow I don't think I was the only one who felt this either. The guy in front of me on the train this morning had his t-shirt on inside out (he bought it from cotton on and wore a size medium) and the man next to me was on the phone most of the train trip trying to get his flat tire fixed that by the sound of it he had only discovered flat this morning. We have been having some of the oddest weather here in Sydney and today I feel like I should be in a scarf and my gumboots but instead I turned up to work with soggy socks then trekked it out again for the morning coffee run. On days like these I crave food that tastes like it has spent hours cooking on the stove or in the oven. Something that fills your cold little belly with a warm home cooked meal. During the week I feel like I cheat this little blog, I don't often stretch my cooking skills or bake much at all (or any eeek). I pick quick meals to cook. When I get home form work at 6:30pm, I give Arthur some much deserved cuddles, kick off my shoes, strip my uncomfortably too tight pencil skirt off, slip on a pair of daggy old sports shorts, tie my hair up in a sprout on top of my head and start on dinner. I want to be sitting down eating by 7:30... at the latest. Yes I know what your thinking - I'm a nanna. I can't help it. Tonights dinner I got from Donna Hay's book 'no time to cook'. It has the flavours of a slow cooked dinner, the vegetables that give you that comforting full tummy feeling and the meat was so tender that you would be completely fooled when I tell you that it only took about 30 minutes of cooking but tastes like it cooked for hours. What more can you want from a mid-week dinner on a rainy Tuesday which feels like a Monday?? - Start with your rice. If your using white rice you can start it after you have the sweet potatoes boiling but brown rice takes longer. Put your brown rice, water and salt in a medium pot, give it a stir and bring it to the boil. Once it reaches boiling stage reduce it to low (as low as your stove can go), place a lid ajar and set a timer for 25 minutes. - Heat the olive oil in a medium pot on high heat. Add the curry paste and cook for about 1 minute. Reduce the heat to medium and add the onion and ginger and fry for about 4 minutes or until the onions have softened but not coloured. - Add the sweet potato, coconut cream, water and stock cube and bring to the boil. Reduce to a simmer and cook for about 15-20 minutes or until the potato is soft. - Keep en eye on your rice! If the timer has finished, turn the heat off. Place the lid on properly and leave it for 10 minutes to keep steaming. - Add the pork to the coconut cream sauce and cook for a further 6-8 minutes or until the pork is cooked through (this will depend on how thin you sliced your pork). 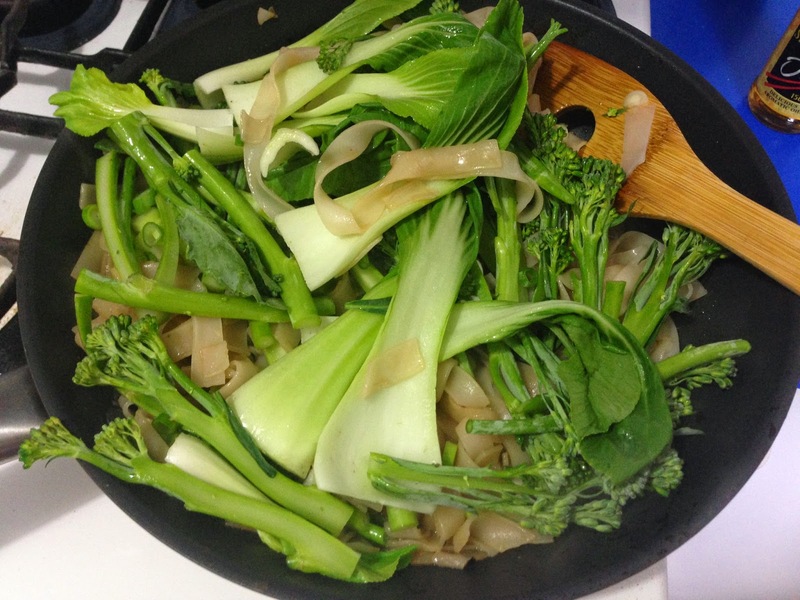 - Stir in the fish sauce and coriander at the last minute and serve with brown rice. A nice addition would be to add some freshly sliced chilli on top if you like a bit of spice! Home-made pizza and a long weekend. I don't know about you but I feel like summer this year has cooked me. It's been hot. And it's still so hot as I sit here at our tiny dining table covered in a sticky film of sweat, unable to get comfortable. 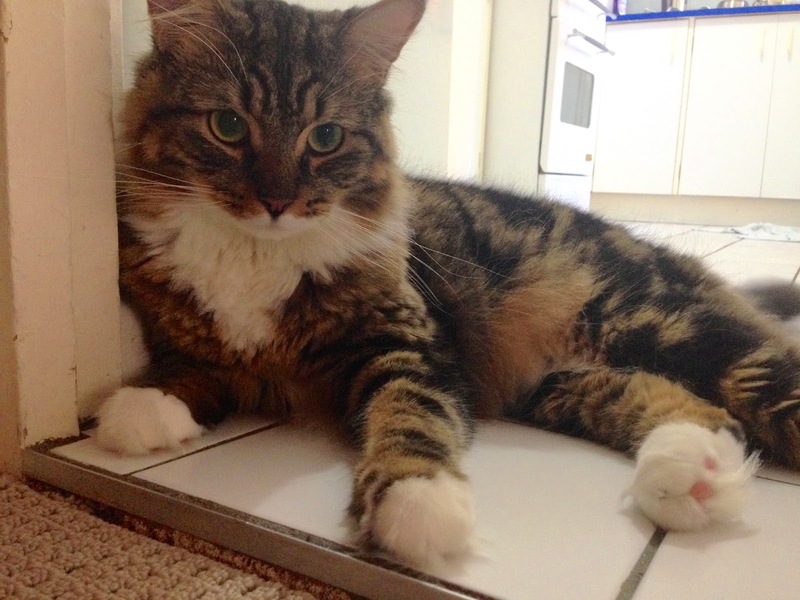 I'm ever so slightly jealous of Arthur who lies on the bathroom or kitchen tiles all day long to cool off, I don't think it would be acceptable for me to spend 90% of my day lying on the tiles unfortunately. 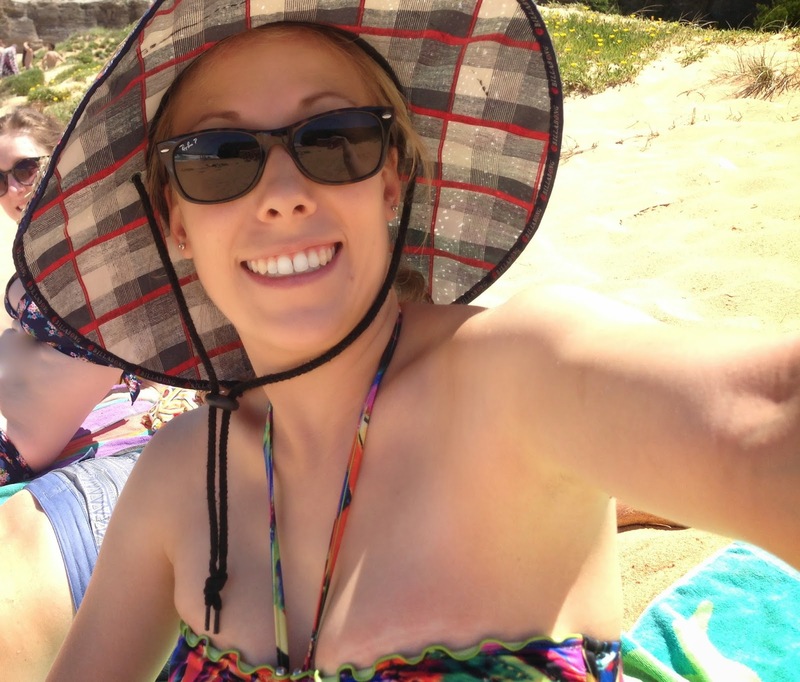 Tomorrow in Australia is a day where you can let your inner bogan free. It's a day you find that stubby cooler you know you have lying around somewhere or the bucket hat that makes an appearance for one day a year still smeared with last years green and yellow zinc (guilty as charged). So on a long weekend what better way to spend a Saturday than at the beach with friends and home made pizza's for dinner? An airconditioned apartment. Jokes!... maybe. 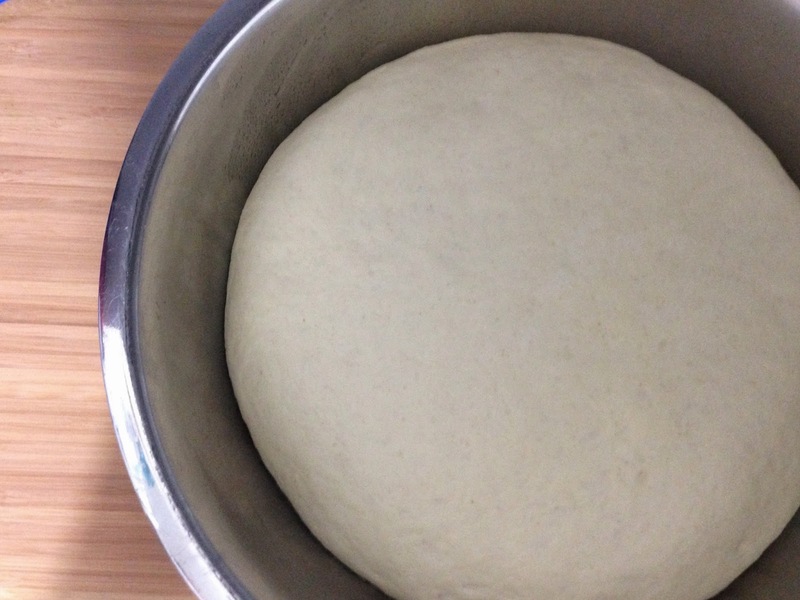 The pizza dough was actually surprising easy to make and didn't take that long at all. Not going to blow my own horn here but they were pretty damn good. I got the recipe from one of my favourite food memoirs 'My Berlin Kitchen by Luisa Weiss' and tweaked the topping. She also writes about this on her blog - The Wednesday Chef. I remember reading her book in bed at about 11pm and there is a scene where the writer sits on her balcony eating home made pizza by candlelight and it sounded so romantic, care-free, delicious and easy. I wanted to go and make pizza right then and there at 11pm in my pj's. Looking over at Tristan snoring next to me stopped me or maybe it was the fact I had to get up early for work but it wasn't the only occassion that I wanted to get out of bed and start cooking from her book then and there so I could taste what she had written so beautifully about. If your a foodie with a soft spot for a love story you will love this book and her blog! 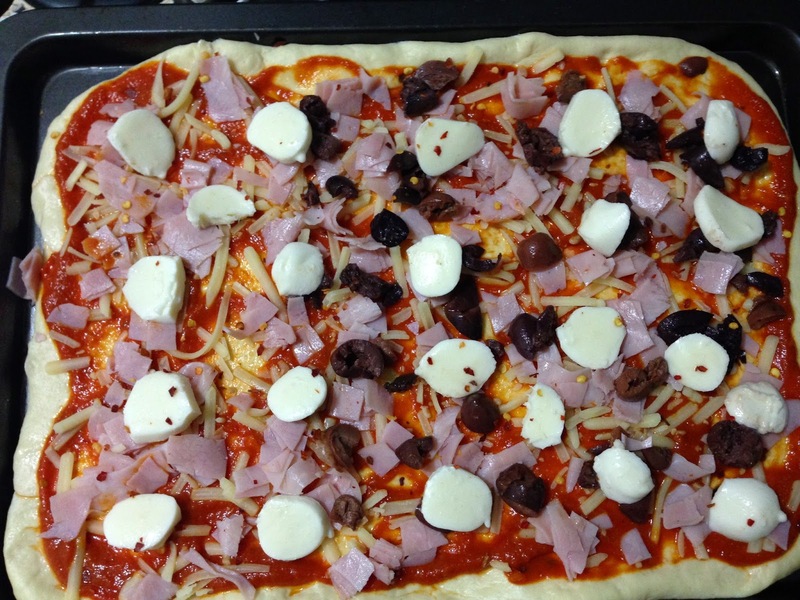 The pizza dough was easy to prepare. A little mixing and a little kneading then let it sit and double in size. Stretch it, top it and bake it. I made a simple tomato sauce for the base which was made up of onion, canned tomatoes, garlic and some dried oregano but you can make it even easier by following Luisa's instructions (link below) where she tears canned tomatoes over the pizza instead of making a sauce. 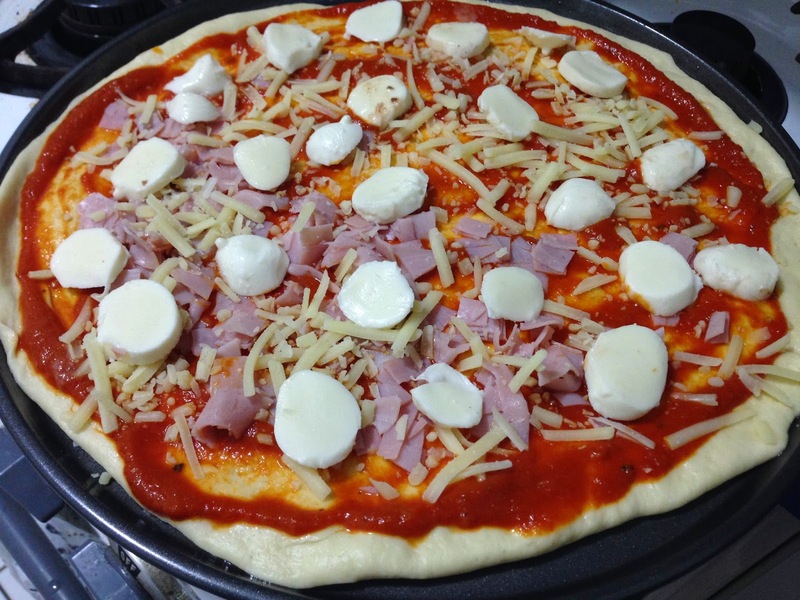 The pizza dough also freezes well or if you make the dough in advance just pop it in the fridge the night before and then pull it out an hour before you want to roll the pizza's out. Easy! - Put your flour in a mixing bowl and make a well in the centre of it. Add your yeast and sugar then pour over your luke warm water (make sure this isn't hot or you'll kill the yeast). 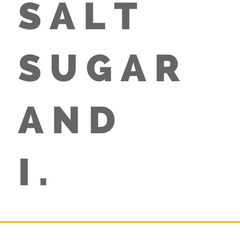 Start mixing it together with a fork, adding the salt and olive oil as you mix. It will start to look like a shaggy mess but thats ok.
- Using your hands bring it together in the bowl. If it's too sticky add a little more flour or if it's too dry add a splash more water. Turn it out onto a floured surface and knead with the heel of your hand until it becomes smooth and springy. Form it into a ball. - Wash and dry your mixing bowl then lightly oil it with oliver oil. Place the dough in the bowl turning it around so that it is covered in a very thin layer of olive oil. Place a wet tea towel over the top and place it in a warm draft free area. It is very easy to find one of them in our apartment right now! Let it rise for 1 hour or until it doubles in size. - Meanwhile, make the tomato sauce (recipe below) and get your toppings ready (what ever you fancy!). - Once your dough has doubled in size crank your oven to hot hot hot (220C or hotter) and place your baking trays in the oven. 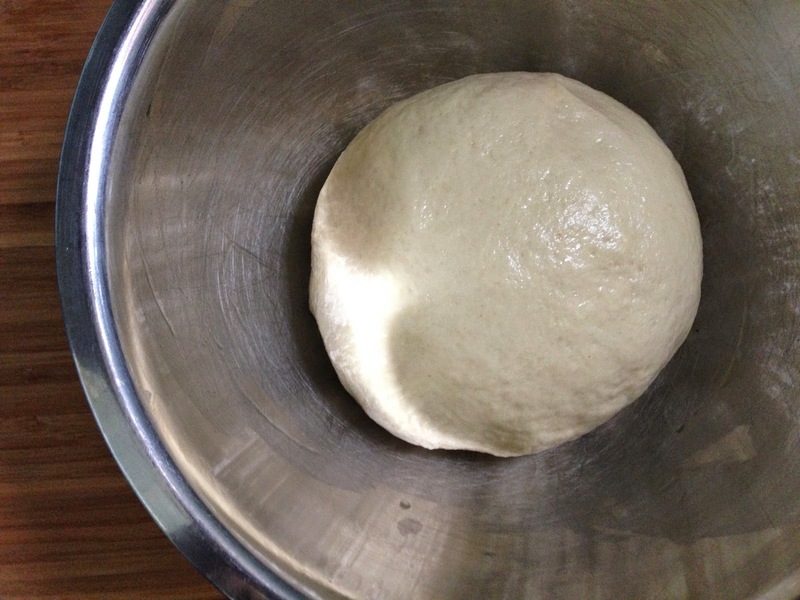 Gently push the dough down knocking the air out and divide it into two pieces. - Stretch or roll them out on a floured surface to your desired tray size/shape and place the dough on to either foil or baking paper. Top them with the sauce and your toppings. 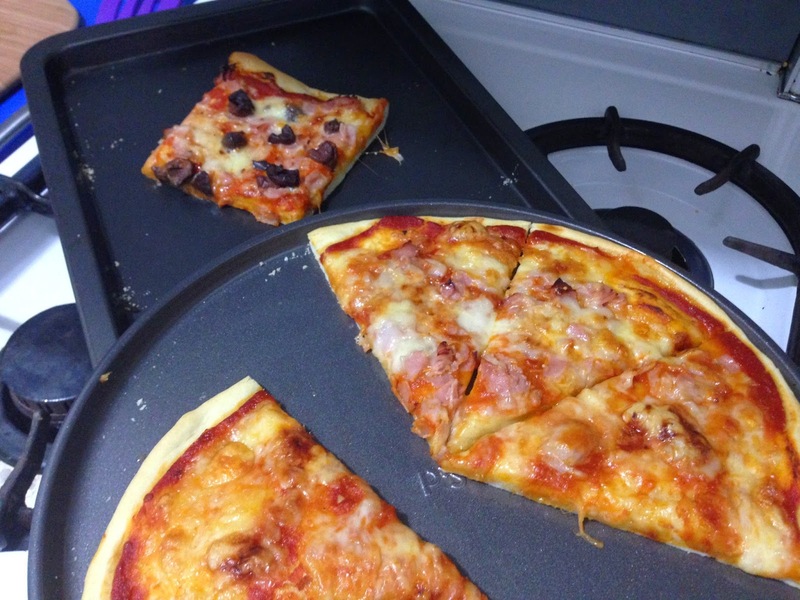 - Slide the pizzas onto the hot trays (keep them on the foil or paper) and bake for about 15 minutes or until everything is bubbling and smelling incredible. - Heat olive oil, garlic, onion and oregano over medium heat and cook until onion is translucent. - Add tomato paste and cook for 1 minute. Add the can of tomatoes and water and bring to a boil. - Cook for 20min on low. Let cool for 10 minutes or so then using a stick blender or processor blitz the sauce if you want a smooth sauce or leave it chunky if you prefer. Turkey & Chorizo Burritos inspired by Donna Hay. Have you ever lost your mojo? Get your mind our of the gutter!! I mean something you were so passionate about which kind of turned all a little bit sour, only for you to realise that maybe you should have left it a passion and not pursued it further then maybe, just maybe you’d still be in love with it? Sorry, a little deep for a Friday morning. So in attempt to find my mojo again I thought the only way to do this was to start cooking again, and I mean a girls got to eat right?! I have had a fair few weeks off and definitely eaten way too much local Thai-takeaway and pizza. I did have this horrible freezer experience last week when I went to reheat some mystery unlabelled mince container for dinner and ended up with freezer tasting pasta sauce. That meal inspired me to throw out everything that was a mystery and unlabelled in my freezer and to my horror there was quite a few containers and ziplock bags that all contained freezer flavoured mystery sauces. So with a freezer that is no longer threatens your toes with mystery frozen items falling out when you open the door and no mojo. We also had no food. SO meal planning started again and to the supermarket I went and came back with a lot of food that surprisingly didn’t break the bank as previous shops have done. 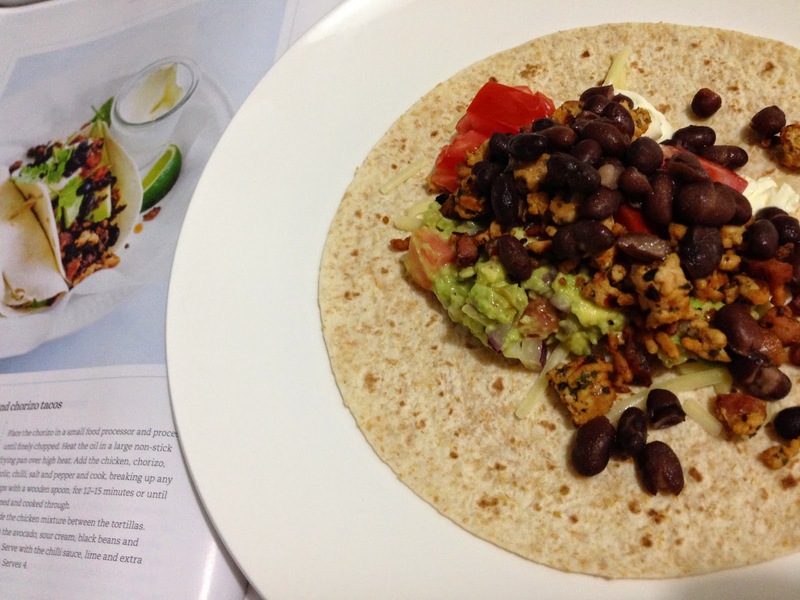 On Monday night we had Turkey and Chorizo burritos inspired by a recipe in the latest Donna Hay magazine -Summer issue (Feb/Mar 2015) which is out now. They were delicious and a lot fresher than burritos I’ve made before. I felt healthy after and not overly full which is a nice change… I can never order the right about of Thai food (2 entrees, 1 main and a large rice oh but thats not enough for delivery... ok add another main dish to the order). 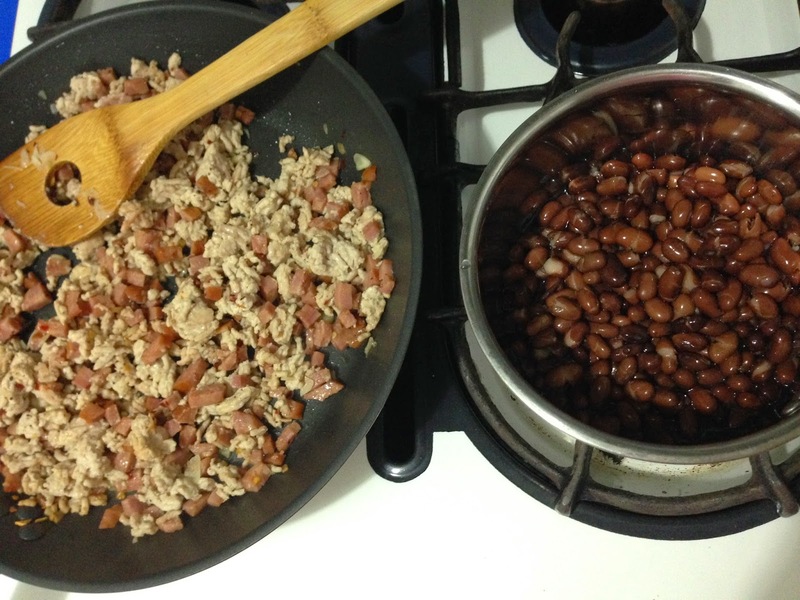 I also decided to use turkey mince instead of chicken mince because well… I can. That’s what I think I need to keep reminding myself that you can change a recipe and it’s not written in stone and if it is written in stone, there is stone masons for a reason. The mince mixture when cooking looked a little dry and a bit nothing if I am honest. I wanted to add a can of tomatoes to it or something to make it saucy but restrained and I’m glad I did because it wasn’t dry at all when it all come together. I added a teaspoon of smoked paprika to the mince for extra flavour and with the lack of fresh coriander I went to my newly sorted freezer to find the frozen stuff and BLURGH! Freezer tasking coriander anyone??? So I ditched that and dried coriander leaves it was and you know what it still tasted pretty damn good but I will admit fresh coriander would make it better. I served the turkey and chorizo mince with diced tomato, lettuce, grated cheese, sour cream, black beans and guacamole. DE-LISH! I wouldn’t say my mojo is back after making one meal… but hunger is a great motivator to make dinner. Turkey and Chorizo Burritos (with all the trimmings). Recipe adapted from Donna Hay Magazine Summer Feb/Mar 2015 issue. - Meanwhile: heat the black beans in the microwave or over the stove until piping hot, make guacamole by mixing all ingredients together and warm the tortillas. - Serve with the condiments of your choice and dig in.